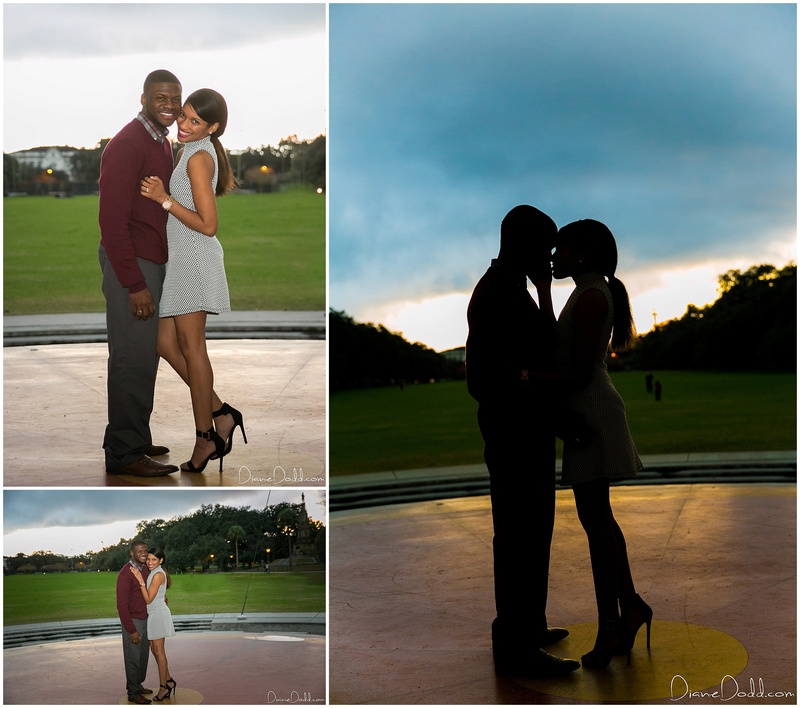 Kambrell called me several weeks ago to schedule a couples photo session for himself and his girlfriend, Monique. 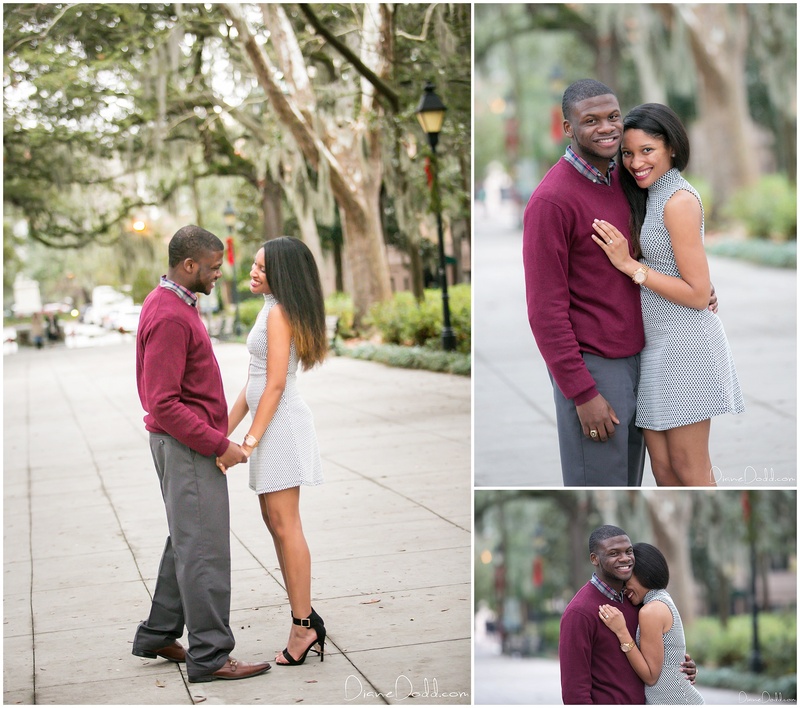 They would be vacationing in Savannah, and each year for their anniversary they book a photo session to celebrate. 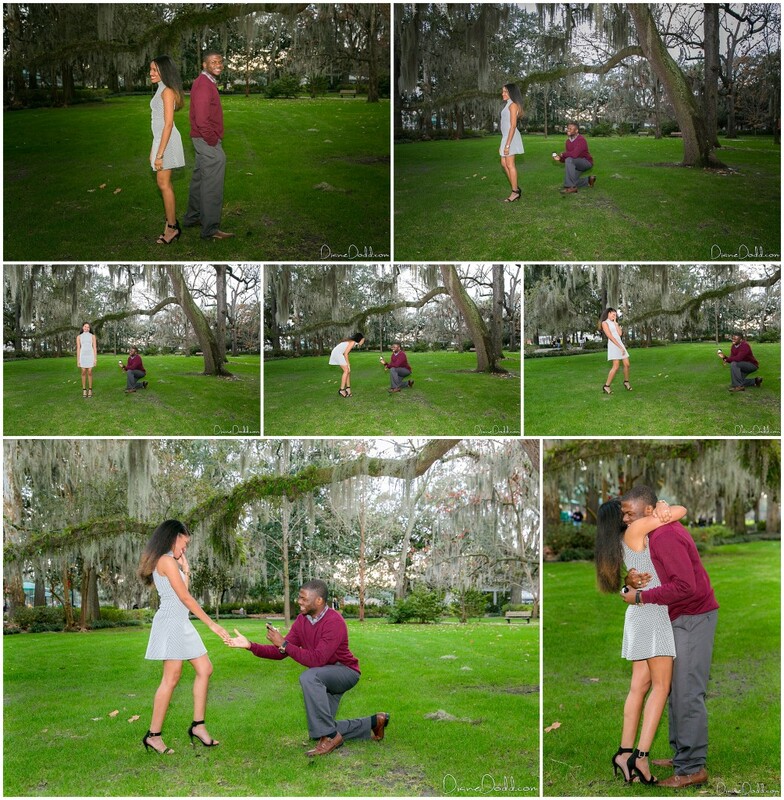 But little did Monique know that this year, Kambrell was going to surprise her with an engagement ring! I love it! 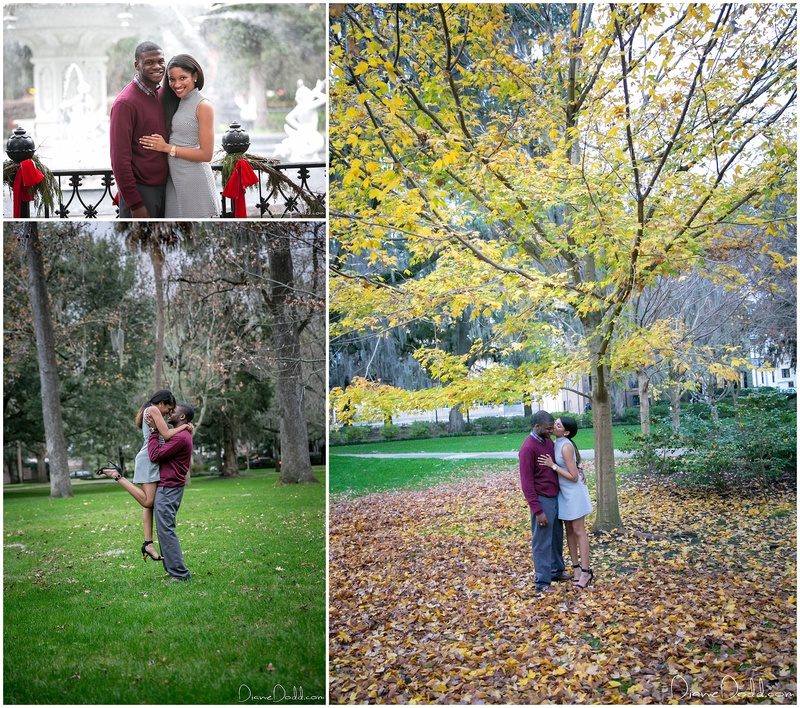 We met at Forsyth Park, where we took a few adorable little candid shots on the park bench to warm up. 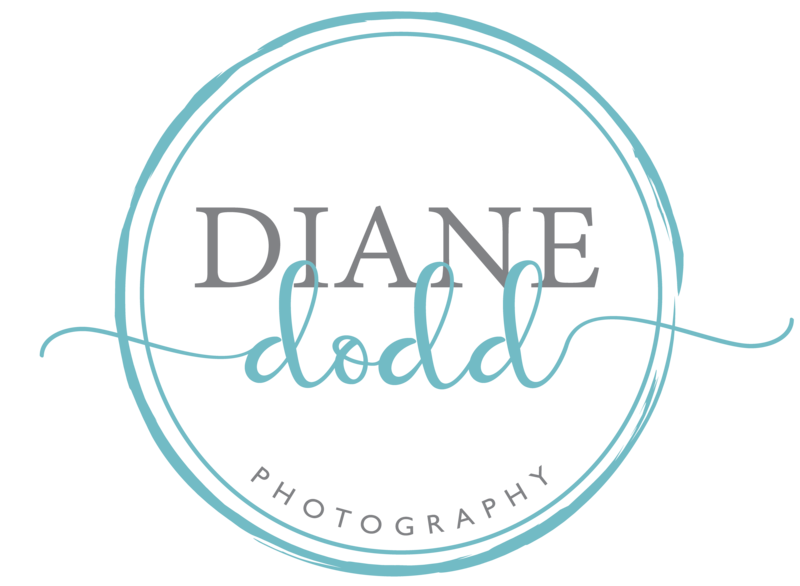 Next, I told Monique that I wanted to try something fun that I had seen on Pinterest (that was a big fib!). I told her that they would need to stand back to back, and then on the count of 5, they were to slowly turn around and face each other. She was so cute and literally turned in slow motion, having no idea that when they each turned around and made eye contact, Kambrell would be on his knee with a big ‘ole smile and a diamond ring. It was so sweet! 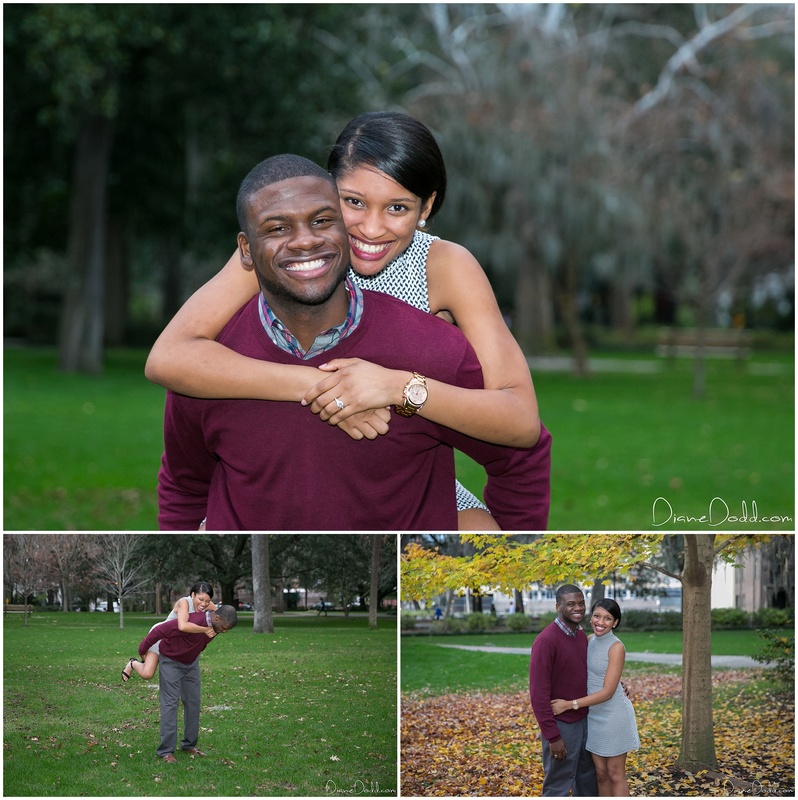 Congratulations to Kambrell & Monique! The warm up- she has no idea what is coming next. 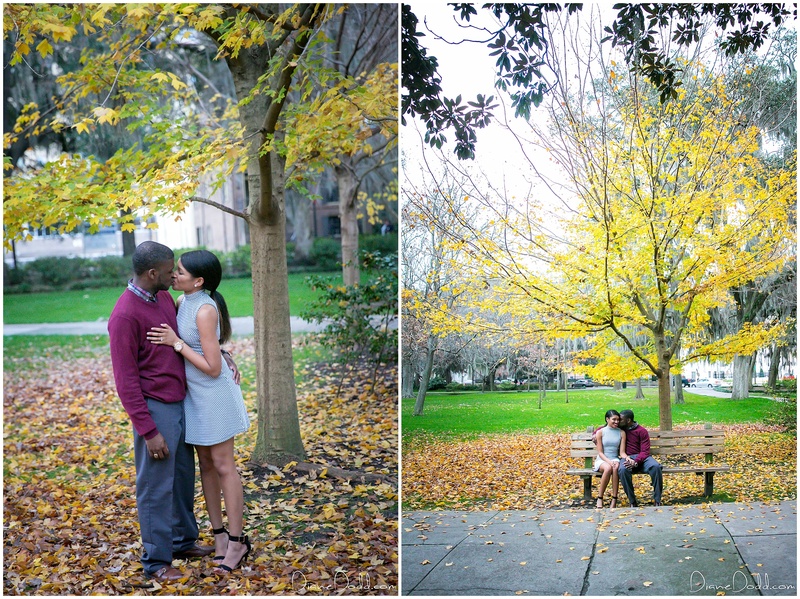 Couples session now turns into an engagement session!